Janoris Jenkins, Landon Collins, Darian Thompson, Tyrann Mathieu, Alec Ogletree, Damon Harrison, Jason Pierre-Paul, Olivier Vernon, Dalvin Tomlinson… Must I continue? That’s a Super Bowl quality defense right there, and yes, I’m getting ahead of myself… But MY GOD THAT LOOKS GOOD. I will say: if Tyrann Mathieu is interested, the #NYGiants should absolutely pursue him if they can find the financial means. The thought of having the Badger together with @TheHumble_21 is scary good. Now, how can we manage to grab former Arizona Cardinals safety Mathieu in free agency? It’s going to start with pay-cuts. 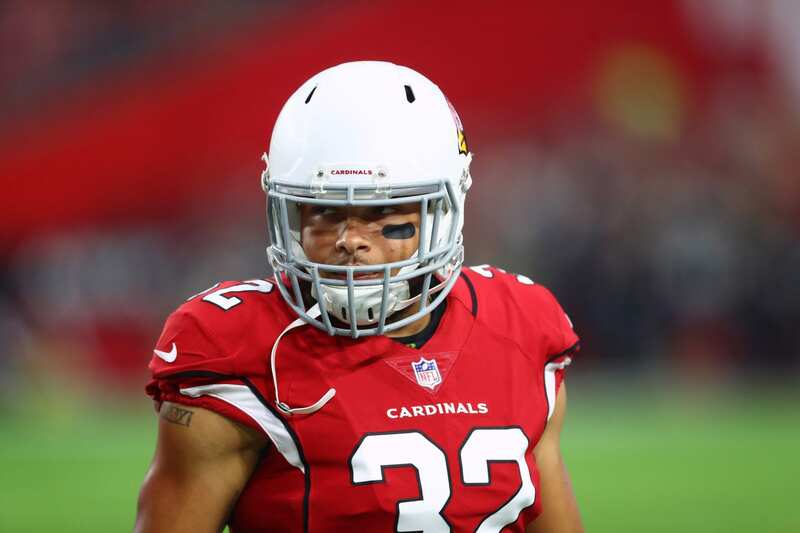 The #AZCardinals are releasing versatile DB Tyrann Mathieu, source said. They tried to redo his deal but it wasn’t to be. Keep an eye on the #Giants and his former defensive coordinator. There’s no doubt that Eli Manning has more than enough money to go around, and his $22.2 million cap-hit must be lowered. Let’s say he takes a pay-cut of $8 million, and the Giants release Dwayne Harris and Brandon Marshall. That opens up about $15 million in cap-space; more than enough to grab the veteran safety. In 2017, Mathieu didn’t miss a single game, as he recorded two interceptions, forced one fumble, and managed 66 total tackles. In other words, the guy is a beast. Adding him to a defense with Landon Collins and Janoris Jenkins in the backfield would be scary. But remember, this all comes down to how much money the Giants can open up via pay-cuts and the releasing of players who ultimately need to be replaced. Additionally, we need to take into consideration how much money must be allocated for draft picks.